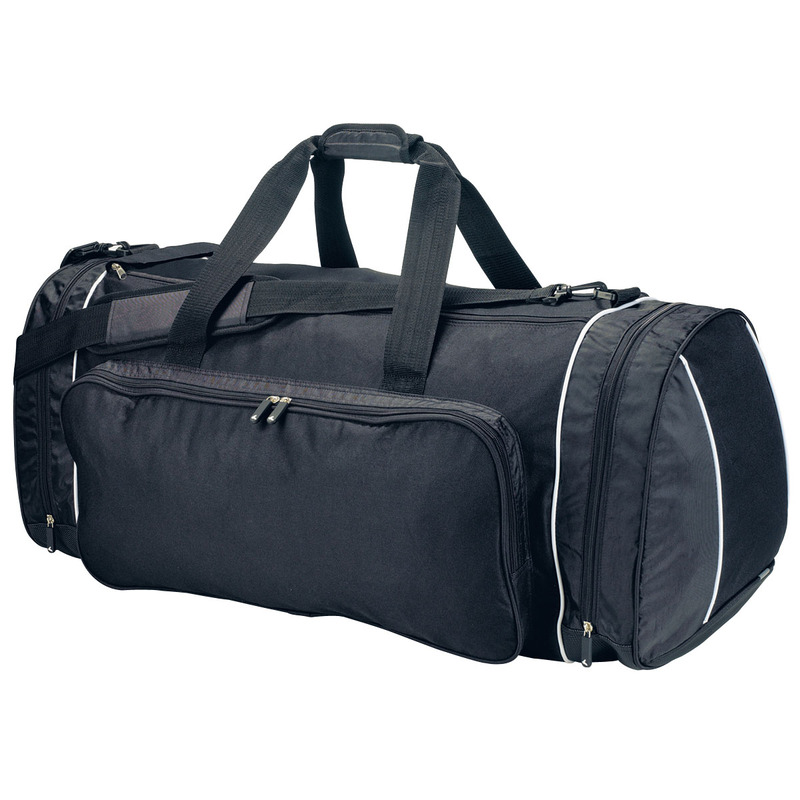 A kit bag with an unbelievable 105 litre capacity that will hold your team's equipment and supplies with ease. 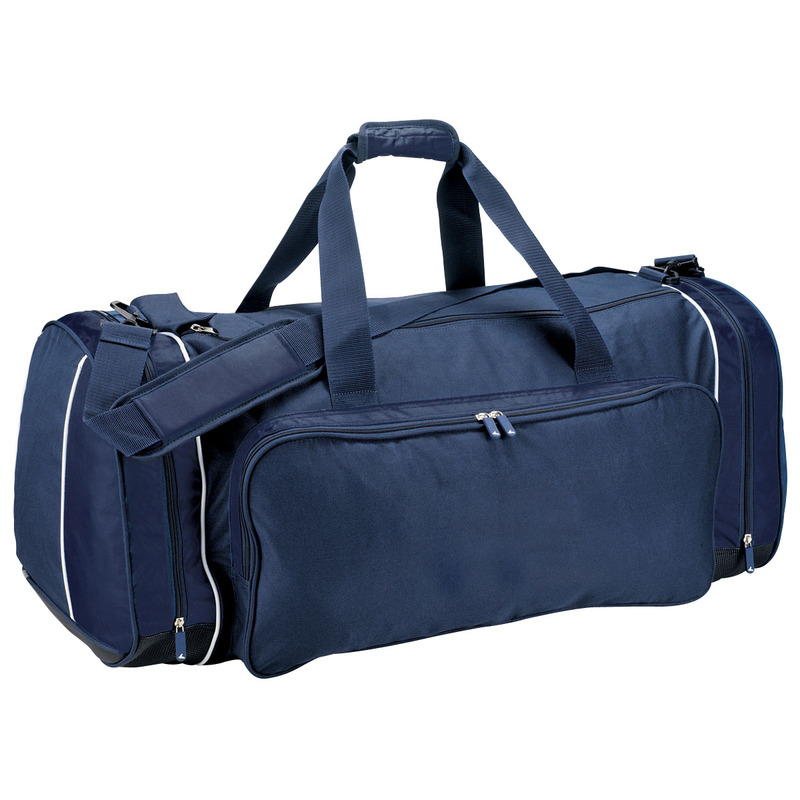 Refined as a quick gym bag or travel bag with spacious compartment and a capacity of 105 litres. This kit bag is durable and made from 600D polyester and 420D nylon with PVC backing. It features a parallel zippered main compartment, PE baseboard, reflective piping wrap on sides, textured PVC panels, rubber feature pullers, single zippered side pockets, double zippered front pocket, and a wide webbing carry handles with padded Velcro cuff. Suitable for most activities, and much much more! Perfect for athletes, campers, or for those who like to travel a lot.